Hi all, I'm new here to the forums and am wondering how you would go about locating and editing the files for the games user interface. 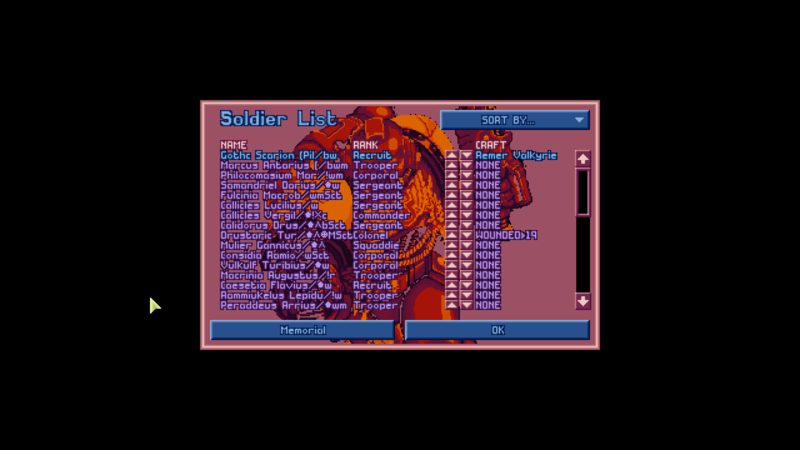 For example is there a way to adjust the soldiers screen(Name, Rank) etc. 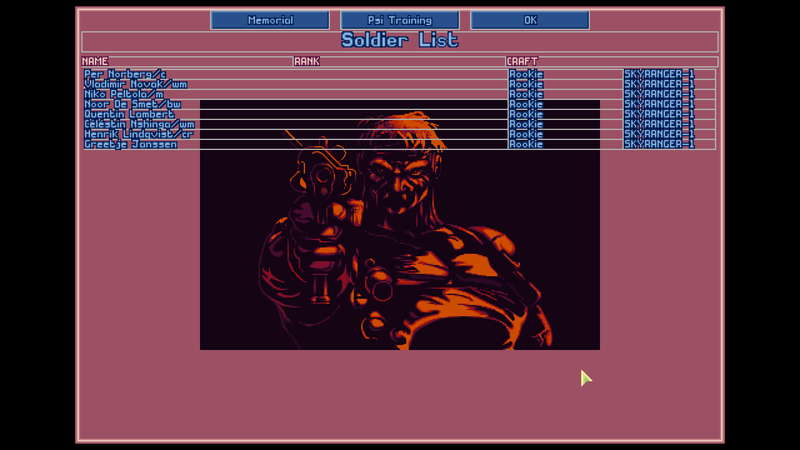 I want to make it so the soldier screen utilizes the majority of my monitor instead of the tiny box it currently takes up as part of the standard openxcom install, any info and input into how I'd get the 'ball' rolling would be greatly appreciated. Welcome the OXC forums, if you need someone to do this. Either ask Meridian (the YouTube LPer) or Otto ohartenstein23, Yankes, or Warboy (admin) or anybody who specializes that stuff. Our pleasure to have you here on OXC forums. Thank you for joining OopenXCOM and OXC forums. 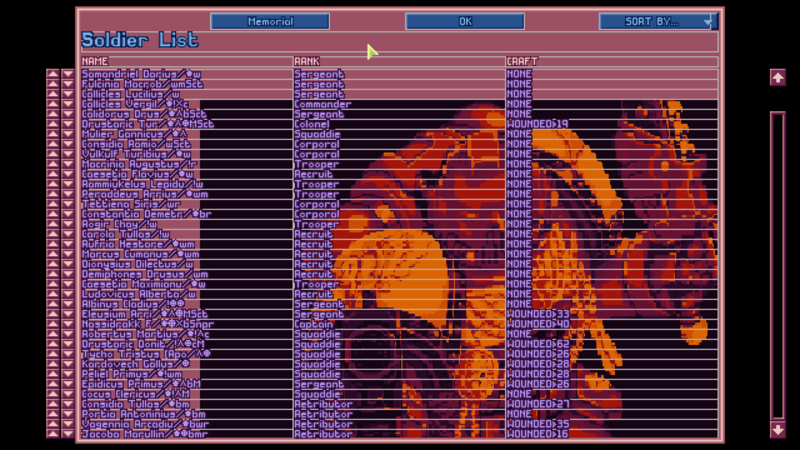 That's exactly what I'd like to do, I want to edit the original XCOM UI within OXC. Would you know the best way to reach out to the guys you mentioned? I don't know i'll ask Meridian or anyone this via PM or something else (not Discord at all, i'm not interested to Discord. What you probably want to look into has to deal with the resolution, not the files directly dealing with the soldiers interface - have you tried the option "Maximize Info Screens" under Options > Advanced > General? Without more info on what you want to do with the UI, just getting a larger screen is already in the options if you play around with them. 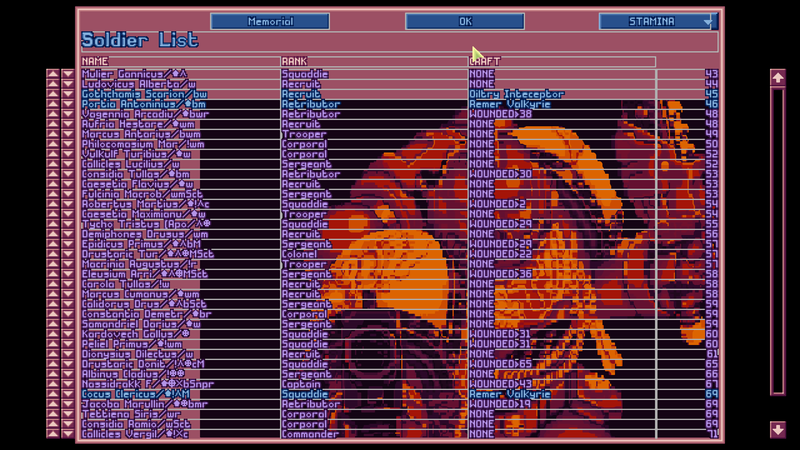 Glad to see you're playing the 40k mod :] You'd have to be playing with "Original" Geoscape scale in video options for the black border to not be there, but that still wouldn't change the resolution of number of characters fitting on that screen. You'd think that you could just use the extra space around those borders to display more of the screen, but the game is written to stay compatible with the original 320x200 resolution and can't really just be scaled to fit more for your particular video settings. You could create more room there if you wanted to download the source code and recompile yourself, this is the file that controls how that screen is arranged. The UI isn't moddable, you'd have to rewrite the code to do so. Would it be possible to get some help with de-compiling and re-compiling the source files then? That's the only aspect of editing the menus that I don't know how to do, is there any specific tools I'd need? That depends on your operating system. Which is it? I'm currently using Windows 10, but if I needed a certain type of OS like linux for example I'd use a virtual machine. This answer assumes using Linux in a VM and OpenXcom-Extended, since that's what I have experience with. The next steps depend on whether you would like to test/run OXCE in the VM or on the host machine. 2. set up the KDevelop project: launch KDevelop, do Project->Open/Import Project, pick the OpenXcom directory; set the Project Manager to CMakeLists. Press OK in the next window. 4. You'll have to copy the vanilla datafiles and mods into some dir in the VM, then copy the built executable alongside them, etc, to get it to start up. That's a different topic, feel free to ask. Change them, rebuild the exe, launch it to take a look. So I've gotten the source files and have gotten Microsoft Visual Studio working and compiling. Your info on the Linux process wasn't useless, it came in useful at some stages when I was lost at a few points. Anyone interested in using the Windows process instead of Linux should head over to the UFOpaedia:https://www.ufopaedia.org/index.php/Compiling_with_Microsoft_Visual_C%2B%2B_(OpenXcom)#Setting_up and read that. I'm having a problem where the soldier name box is larger but the soldiers entire name doesn't make use of the new space. I'm guessing there is some sort of character limit somewhere that I can't seem to find so any input on that would also be appreciated. Like I say I'm only playing around with the UI so excuse the poor quality. So as a quick wrap up to this thread I just want to say thanks to everyone for your input and assistance, I've made great progress with editing the UI inside the source files so again thanks to everyone for the assistance.